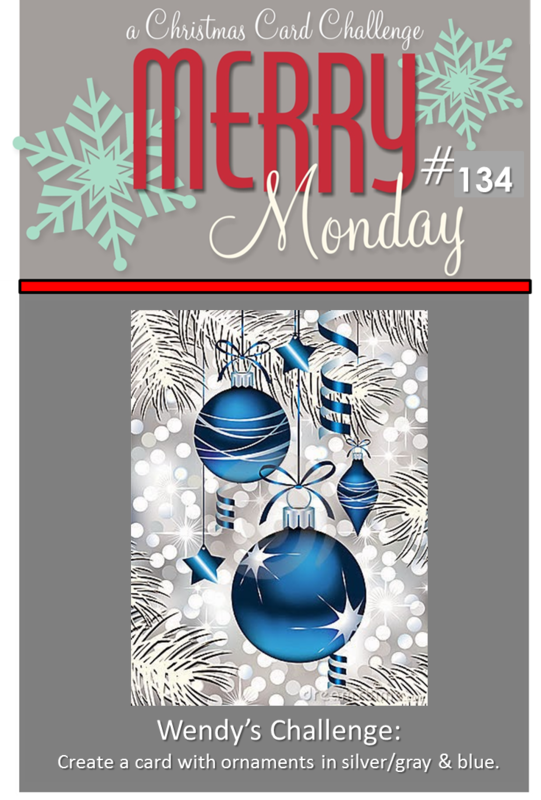 Welcome to a brand new Merry Monday Christmas Card challenge! 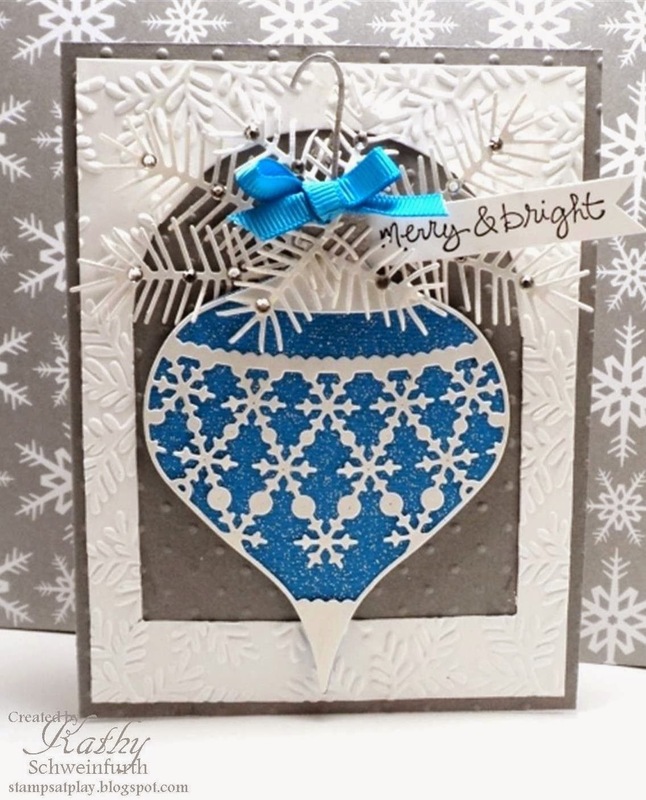 Wendy is our hostess this week and she has a gorgeous challenge for us: create a card with ornaments in silver/grey & blue! This week's challenge brought visions of wintery frost and holiday sparkle to my mind! I decided on a Memory Box ornament die and used blue sparkle paper to place behind the outline and topped it with white pine bough dies and touches of rhinestones, a bow and ornament hook die. You will be amazed at the awesome ideas the Design Team came up with - be sure to check them out! Looking forward to seeing YOUR take on this week's challenge! Your ornament is beautiful! I like how you decorated the top and added the sentiment. Love all the delicate die cut foliage ,such a pretty card! Such pretty die-cuts, embossing, layers....all of it is gorgeous! This is one stunning ornament, Kathy! Love that it is center stage on your card. Have a great week! What a big, beautiful bauble, Kathy! And it even has a hanger! Love the white pine boughs to decorate it! Hope you have a wonderful week! What a beautiful, big ornament on a gorgeous background. The "foliage"really adds to the whole card. Beautiful! Love the sprigs of pine!! Stunning card Kathy, I love all these fabulous details.